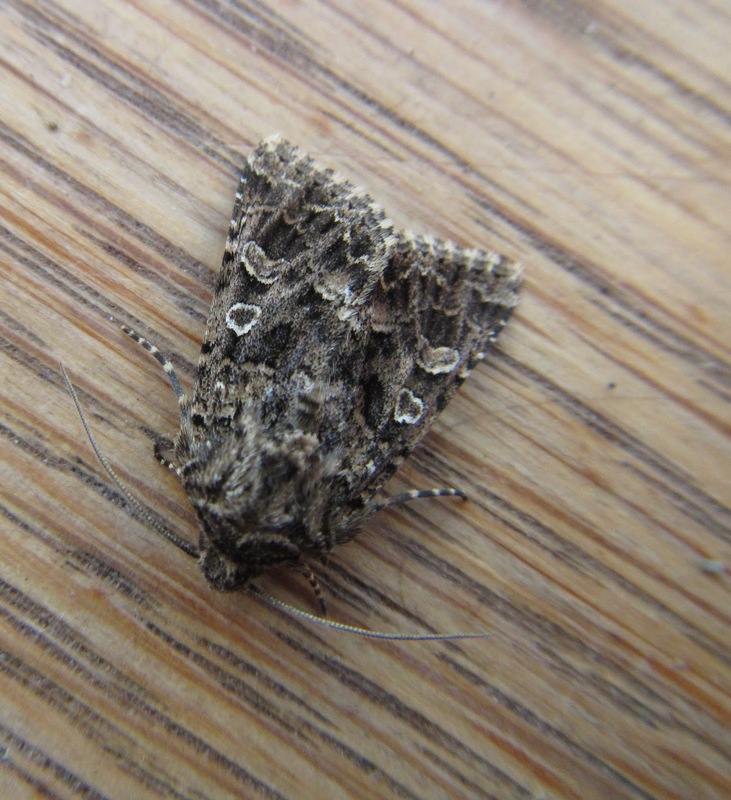 Carmarthenshire Moth and Butterfly Group: Moths arriving now. After a lean patch of very few moths, I have started getting a few back. Dunbars are out in force, all of them a very faded sandy colour. Oak Hook tips are about, as are lots of Sharp-angled Peacock. Plus LYUs of course and regular hornets that leave the wings for me to identify. I also had this moth, same size as a Lychnis, which I am struggling to positively identify. Its like a Coronet, but not quite right for it. All help gratefully received. I should try closer to home next time Jane, the Coastal Moths course at FSC Orielton is an annual event in July, very enjoyable and instructive. There's one at Margham Park next year, also in July. Good that you've moths now, your mystery moth is upside down (I'm used to viewing them head-up!) but how about Pod Lover? Yes I realised that just after I posted it. Sorry. I looked at Pod Lover and was put off that the oval on mine was so clear and definite. The rest of it is good. Thank you. I was looking for an enjoyable break, with likeminded people, and see a few good moths and learn a bit. Not end up doing the moth side of the holiday for the guide with another holiday goer! The course at Orielton was, for me: an enjoyable break at a great location; with like-minded people; a few good moths seen (including Pod Lover); and learned a lot, even though it was my 3rd visit. I'm not sure whether we are 'allowed' to call inland Tawny Shears "Podlover" but your colony is feeding on Sea Campion so why not? Your moth certainly looks like the coastal "Podlover" form of Tawny Shears. Very nice!! Thank you Sam. Pleased with that one. How do I record it? Tawny Shears sp? When I saw your pic, just before I lost my internet connection, I thought tawny shears.